The Nyírerdő Zrt. 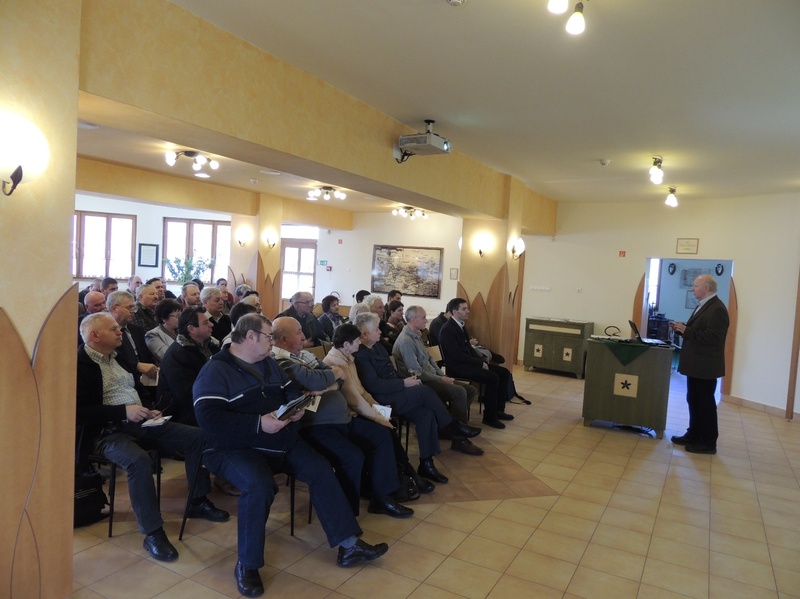 Exhibition site in Erdőspuszta hosted the information days for the LIFEinFORESTS project. Members of the programme are: The National Alliance of Private Forest Owners and Farmers (MEGOSZ), the National Association of Forestry, the Pilis Park Forest Ltd, the Directorate of the Bükk, the Danube-Ipoly and the Kiskunság National Parks and finally Europa Media Non-profit Ltd. and the WWF Hungary (as project leaders). The main aim of MEGOSZ is to achieve the broadest possible information distribution among private forest farmers who are stakeholders to Natura 2000 areas. Besides the intention to disseminate the programme results, they also would like to enable that a great amount of available EU-funding flows to the owners or farmers in charge of the forests. To this end, MEGOSZ organizes lectures at 15 different locations in order to reach a high number of people eligible for funding, as well as to disseminate all the necessary information on forest management and successful project proposals. Through this, they also wished to include areas which lack any ownership and regulation at the moment. Many are not aware that it is possible to request easily accessible financial support from the EU for Natura 2000 private forests. The scope of the funding depends on the type of trees and their age on the field and ranges accordingly from 12 to 70 thousand HUF/acre/year. Anett Huszti (Nyírerdő Ltd.) welcomed the group of roughly 50 forest owners and farmers on behalf of the Debrecen Forestry. József Duska (MEGOSZ) provided a brief introduction on the goals and opportunities of LIFE. Adrienn Szatmári (Kiskunság National Park) showcased the results of the members taking part in the programme. Repeated input from József Duska shed light on the management and controlling of Natura 2000 forests, as well as on the extent of funding in the upcoming seven years period and the related requirements and the expected announcement for the call for proposals. The questions revolved around the usual topics: the impact of vanishing indicative species, the problem of disproportionally small habitats on a given area, the inaccuracy of maps, the lack of sustainability plans, the biased stance on wattles, and the finally the absence of compensation for support in protected areas. The well-paced, targeted focus of the information days provided ample munition to private forest owners from the Hajdúság and Nyírség area to successfully raise funds for the preservation of Natura 2000 forests.